My safe place is being at home in general. I feel the safest when I'm there. No matter where I go in the outside world, after a while away I'm always glad to be back at home. For some odd reason I like to hole up in my car too. Me and my car are buddies. I sit at the park and read in it, I turn up the heat when it's cold outside and enjoy the warmth in it, and I lock the doors and eat in it while listening to a good audiobook during my daily travels. Your home office looks heavenly. Thanks for sharing. 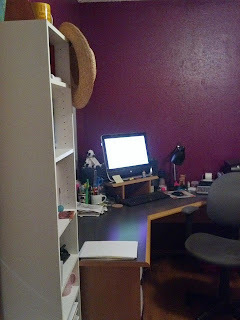 My safe place is my home office/studio, too. 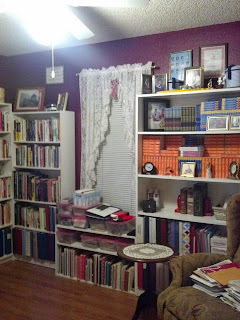 It used to be so cluttered and full of junk I could no longer be creative. I cleared it all out, painted, had a door to the outside garden installed and decorated one end in a peacock theme with a comfy chair. I moved back in only what I really need to be creative. 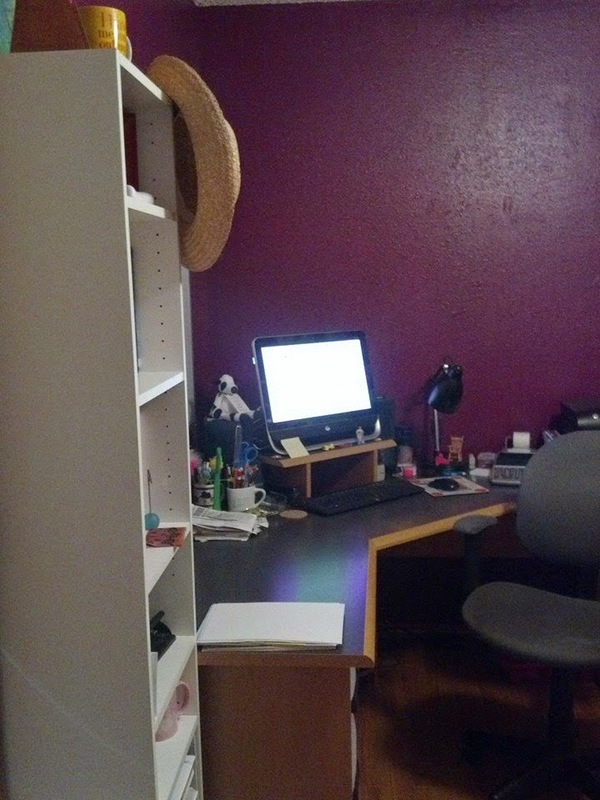 It's now my Writer/Artist Oasis. Sometimes a good housecleaning works miracles. The door to the garden...very nice. My home is my sanctuary. There are days when I just can't get back there fast enough. My home or my (at home) office work for me. I can get lost in my art when I'm at my desk. And I can always get lost in a book at home! If I can get away from the real world, even for just a little while, it helps!